Our globalized contexts are structured by an unequal social distribution of labour and wealth, increasingly moulded by speculative market-based economics. Many of today’s cultural manifestations are large-scale events that are too often either directed at a generic public or a restricted elite. This reduces and neutralizes the concrete ethical and political reach of art, as well as its potential for fostering discussion and inspiring other ways of working, thinking, relating, and living. Our intention is to build situations and develop strategies that provide a concrete and actual alternative to this state of affairs. Our program is designed to reflect the cross-disciplinary character of contemporary aesthetic practices, by working with artists and thinkers whose endeavours articulate the theoretical world with artistic presentations in several formats and dynamics and for different audiences. By challenging the actual state of culture, economy and education, our primary function will embrace self-organized, artist-run, participatory and collaborative modes of action as a fundamental part of the content and structure of its activities. Such initiatives can only be developed over time, by means of the simultaneous activation and advancement of various forms of exchange, distribution, and production. Our intention is to remain responsive and fluid throughout this process, adjusting our strategies, tactics, and aims as we develop. An integral aim of our program is to continually expand our platform of exchange, by bringing in new participants and interlocutors, fostering relationships with different institutions and organizations, as well as by deepening our ties and relationships with established collaborators. CAPACETE acts at the intersection of various social and professional fields, thus requiring the selected participants to fully embrace an open and “horizontal” dialogue, and to actively engage in program activities by instigating projects that can in turn act as platforms for disseminating information, promoting active responses, and generating public debate. The application deadline for our 2016 yearly program is the 24th of May 2015 at 12 PM Rio de Janeiro time. Inserts in the field of anthropology ? or work in the field of art ? 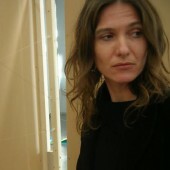 Anna Bella Geiger – Artist. Degree in Anglo – German studies at UFRJ , in Sociology of Art from New York University and the New School for Social Research ( 50 ) . Held solo exhibitions and participated in group in Brazil and abroad, as in the Biennial of Sao Paulo and Venice. His works are part of collections like the MoMA (New York ) , the Centre Georges Pompidou (Paris) , Tate Modern ( London) , among others. Published , with Fernando Cocchiarale , the geometric abstractionism book and informal ( Funarte , 1987). e a não acreditar em quem vos fala de esperanças supraterrestres. O humano beyond-caverna só poderá existir na terra e com a terra. 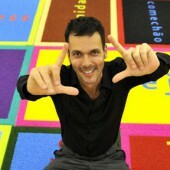 Leandro Nerefuh (1975) vive em São Paul / Brasil – Graduado em História da Arte (Goldsmiths College, 2007) e mestrado em Estudos Culturais (London Consortium, 2009), Leandro trabalha com a tradução formal de material histórico, com especial interesse pela América Latina. 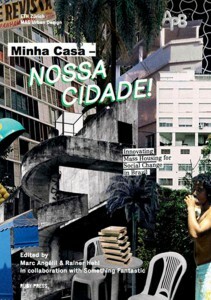 Desde 2009, apresentou projetos em W139, Amsterdam; MAM – SP; Zacheta Galeria Nacional, Varsóvia; Palácio das Artes, Belo Horizonte; 30 Bienal de São Paulo; Festival Sesc VideoBrasil; CCSP, São Paulo; Museu Reina Sofia, Madrid; ICA, Londres; CCCB, Barcelona, entre outros. Leandro é membro- fundador do PPUB, Partido pela Utopia Brasileira, atuante no Brasil, Paraguai e Uruguai. Our residency apartment in the COPAN building (22nd floor in original state) is a stop for our candidates during the yearly program. 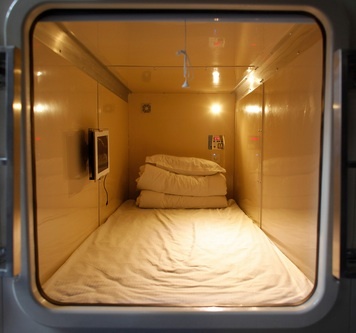 The Hotel / Capsule is an answer to the increasing rents in the city of Rio de Janeiro. It shall function to receive artists and other collaboradores of CAPACETE, who for financial reasons or because they live far away, would not be bale to stay in the city of Rio. The seminar will reflect upon the variations and tranformations of the notion of “human” in different onthological refrains, focusing on the problens of concepts such as multiplicity, conexion, neighborhood relationship, limit and becoming. I will present specific cases provenient from ethnographical studies about different societies taken as tradicional and non-Eastern. These cases will be articulated with reflections produced about the hipercapitalist capitalis context. I aim to, in other words, offer elements to the understending of specific configurations of body and person involved in different status of mankind and its respective regimes of creativity and expression. 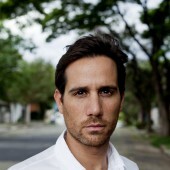 Pedro de Niemeyer Cesarino has graduated from the Universidade de São Paulo and has his máster and PhD in social ontropology through Museu Nacional/ UFRJ. He researches indian etnology (with emphasis on studies of shamanism and cosmology), oral traditions, translation and anthropology of art. 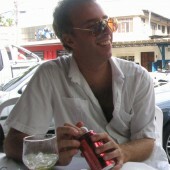 Was Assistant Professor of Anthropology in the Department of Art History of Art at the Federal University of São Paulo. He is currently professor in the Department of Anthropology, University of São Paulo, in the field of Anthropology of Expressive Forms. He is the author of “Oniska – poetic shamanism in Amazonia” (São Paulo, Prospect, 2011) and “When the earth stopped talking” – Marubo corners of the mythology (Editora 34, 2013), and numerous articles published in professional journals. In recent years, also published literary texts and works of drama. Guided conversations – compose a mediational space – through clinical and philosophical and poetical perspectives – that tangent the curatorial – excuses to let time go – together – for a few days – contradicting – and insisting – in provisional states – and digesthétics – skin of thinking – ethics of existence. 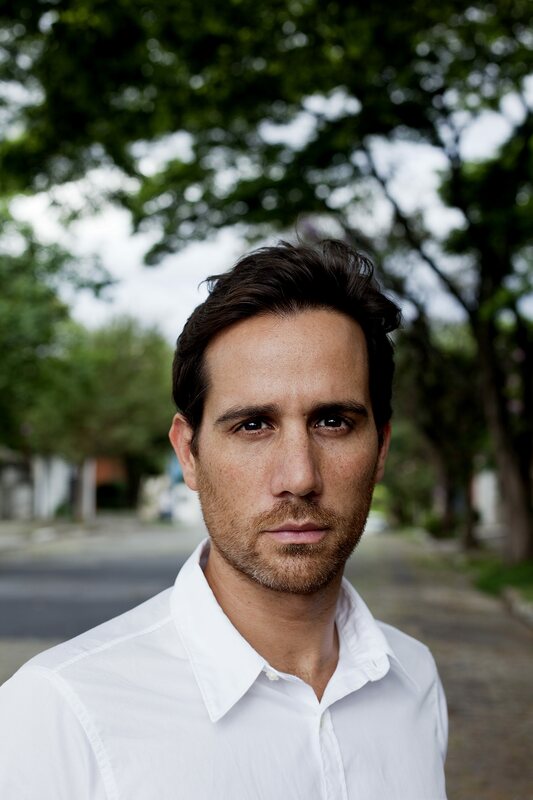 Amilcar Packer was born in Santiago de Chile in 1974 and moved to Brazil in 1982. Degree in Philosophy by the University of São Paulo, is finishing a Master in Clinical Psychology by the Center for the Study of Subjectivity of the PUC São Paulo. Packer develops a practice that reconfigures the semantic fields of objects, architectures and human bodies through actions and interventions, photographies, videos, installations, and presentations in various formats establishing relational fields, which seek to subvert the normative grammars of social spaces and historical mechanisms of power. Its activities aim to neutralize dominant discourses, and contribute to uninstall oppression devices that are crystallized in the cultural distribution of the sensible – with its correlate segregation of space -; in the sedimentation of power structures – and its naturalization in language; and in social and socializing behavioral standards – and its politics of homogenization of subjectivities. Food activism, agroecology and site-specific practices are among the issues to be discussed and practiced in a colaborative and imersive 7-day workshop in the country side of Rio de Janeiro. 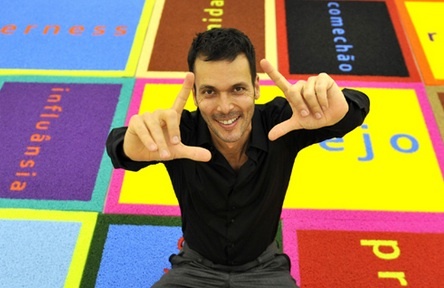 Jorge Menna Barreto – Artist, translator, professor, educator and critic. MFA and PHD in Fine Arts from the University of São Paulo, Brazil. Presently doing a post-doctoral research at UDESC on the relationship between agroecology and site-specific practices in art. The course address the impact that Neoliberalism has had on the social production of space and on artistic production. From an investigation about the political and economical transformations that influenced significant spatial changes in the last decades, we will show the mechanisms by which the city became the stage for the instrumentalization of culture in the age of financial capital. The instrumentalization of culture as a symbiotic relationship with economy was a construction of the hegemonic power, one designated as a response to the crisis of the world “stagflation” at the end of the 70s and beginning of the 80s. This response culminated in the delegation of financial capital to the private sphere for the elaboration of public policies oriented towards establish the social and aesthetical contours of the city and of the arts. Since the 80s, we have seen bureacucratic administration of the city move from the public sector to current models of private-public partnerships of urban enterpreneurism. In the arts system as well, the decline of state funding and the growing influence of corporate sponsorship (either directly or by means tax subsidies) have spread thoroughout the production, dissemination, and reception of contemporary art. The workshop will focus on the mechanisms by which this symbiotic relationship between economy and culture “naturalizes” the power exerted by the interests of private capital as an agent who defines the landscape of social life. This workshop proposes to raise a collective conversation and discussion about some of the traces and topics that constitute the “image of the contemporary artist” – and also, through a series of written exercises, bring the problem of “how one produces oneself as an artist” as a matter of practice. The departure point is the comprehension that the contemporary system of art is a complex composition of several layers of mediation that needs to be experienced by whoever intends to make a move in such a territory; this is a consequence, by one side, of the 1960s ‘dematerialization’ of the art practice, and, by other, of the so-called ‘globalization’ process typical from the new economic world order which emerged since the 1980s. Among so many different layers of institutional and relational protocols, where can be located the artist and the artwork, subject and object of the sensorial and conceptual experience? The workshop is organized around a pre-prepaired set of problems that encompass some of the aspects involved in the contemporary art practice – from the practitioners’ point of view, specially the artist: the context, the proposition, the group, the historical and critical discourses, the curatorial knowledge, etc. What is generated from this is a conversation about how one produces oneself as an artist in face of the local/global context. For each topic, a specific bibliography is assigned. The dynamics includes the reading and discussion of texts, but also that each of the participants writes in direct relation to each of the themes: the texts are then collectively read and discussed at each meeting. Therefore, writing and reading are meant to be taken as practical exercises on the “production of oneself as contemporary artist” at a specif location and context. Ricardo Basbaum (São Paulo, Brazil 1961). 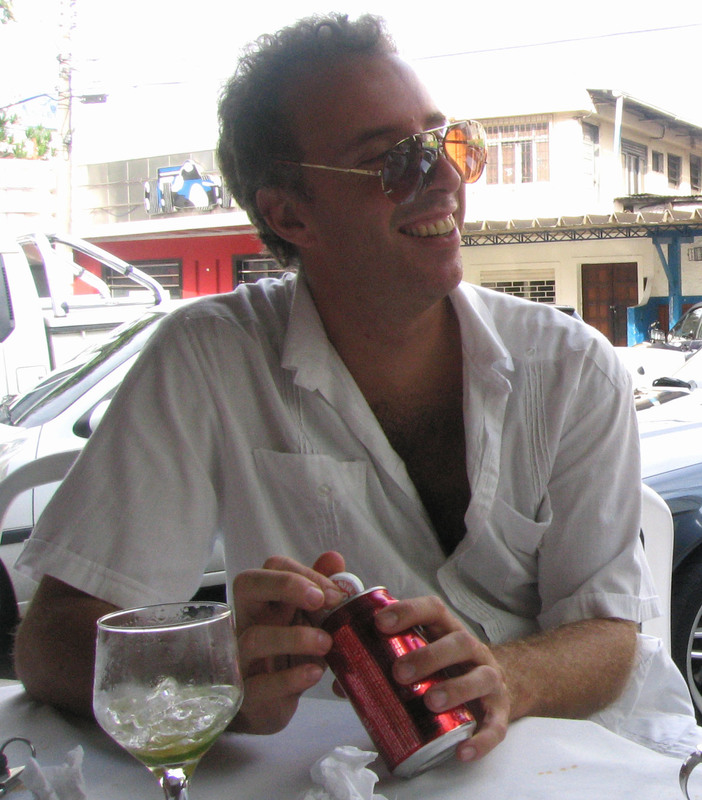 Lives and works in Rio de Janeiro. He is an artist and writer, investigating art as an intermediating device and platform for the articulation between sensorial experience, sociability and language. Since the late 1980s, he has been nurturing a vocabulary specific to his work, applying it in a particular way to each new project. His work was recently included at Something in Space Escapes our Attempts at Surveying (Kunstverein Stuttgart, 2014), the 30º São Paulo Biennalle (2012), Garden of Learning (Busan, 2012) and Counter-Production (Generali, Viena, 2012), among other events. Exhibited at documenta 12 (2007). Recent solo-projects include re-projecting (london) (The Showroom, London,2013). An athology of his diagrams was presented at the Centro Galego de Arte Contemporánea, Spain (diagrams, 2013). He is the author of Manual do artista-etc (Azougue, 2013) and Além da pureza visual (Zouk, 2007) and contributed to Materialität der Diagramme – Kunst und Theorie (edited by Susanne Leeb, b_books, 2012). Professor at the Instituto de Artes, Universidade do Estado do Rio de Janeiro. Worked as Visiting Professor at the University of Chicago (2013). Andrea will lead a 4 day workshop focused on a range of psychoanalytic approaches to group relations, art engagement, and performance. The workshop will include a discussion of readings that will be provided; experiential self-study of group process; performance exercises; and group discussions of projects by participants applying various methods. Andrea Fraser is a Los Angeles-based artist whose work has been identified with performance, feminism, context art and institutional critique. 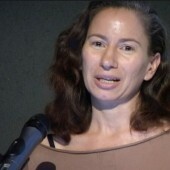 She was a founding member of the feminist performance group The V-Girls (1986-1996), the project-based artist initiative Parasite (1997-1998) and the cooperative art gallery Orchard (2005-2008). 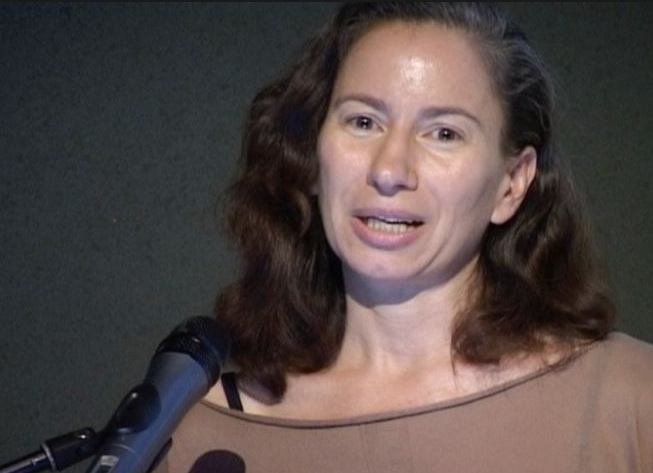 Her books include A Society of Taste, Kunstverein München, 1993; Report, EA-Generali Foundation, 1995; Andrea Fraser: Works 1985-2003, DuMont Buchverlag, 2003; Museum Highlights: The Writings of Andrea Fraser, MIT Press, 2005; and Texts, Scripts, Transcripts, Museum Ludwig Köln, 2013. The Museum Ludwig Köln presented a retrospective of her work in 2013 in conjunction with her receipt of the Wolfgang Hahn Prize. 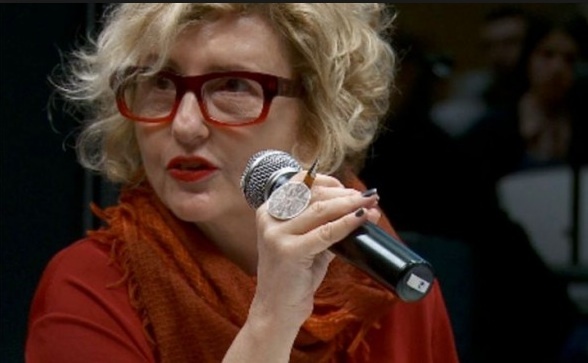 She is Professor of New Genres in the Department of Art at the University of California, Los Angeles and visiting faculty at the Whitney Independent Study Program. This seminar concerns the ability and responsibility of artists to be in charge of their own ‘context’, in terms of both production and presentation. The broader aim concerns the urgent question if and where art may be of service in producing a public sphere, also in the political sense of that term. Our hypothesis is that the increasing privatisation of public property, as well as the increasing use of private date for public ‘good’ under neoliberalist developments has lead to the loss of a somehow meaningful public space. Our concern is that if this loss coincides with the loss of the position of the artwork in the eye of the public, how then can art as public space be disclosed-or somehow be useful- for its political potential. In a world where the value of art is challenged, it is timely to reinvest in its place in society. For a society to be, encounters have to happen, and in order to experience the potentiality of space to become public, its conditions have to be created to prepare the ground for an encounter to occur. We embrace the qualities intrinsic to artistic practice, as a means to disclose – make public – what is at stake in public space. The issue of public space has long been articulated in close connection to democracy, and many theorists have argued that when democracy is under threat, so is public space. The discussion of public issues is therefore not exclusively of this time, but all the more relevant in light of the current increase of private ownership and privatization of public space. With the term ‘public space’ we refer to any site of potential conflict over rights, information, relations, and objects – a space that requires articulation, so that a community can be formed, called to order, and enter the order of the political. ‘Publicness’ does not manifest itself in spatial matters only. In fact, recent debates over forms of common property such as knowledge and culture show that public space is to be understood in the broadest terms possible – as that which holds the fabric of experience-as-community together. Threatened by forms or acts of exclusion, privileged access, and disinformation, these sites of public property are just as precarious as natural resources, and need to be rearticulated time and again. However, if the economic paradigm forces us to retreat from the realm of publicness, then what is the public issue? The model of the dialogue, understood as a constant negotiation between citizens in any form, will be investigated on its potential to establish and articulate collective space. Bik Van der Pol work collectively since 1995. They live and work in Rotterdam. Bik Van der Pol explore the potential of art to produce and transmit knowledge. Their working method is based on co-operation and research methods of how to activate situations as to create a platform for various kinds of communicative activities. Between 1993 and 1998 I worked in an educational travel agency that was called at, that time, “Pagu”. The agency had to change its name due to a complaint filed by Patricia Galvão’s heirs. In my work I used to guide 7th grade students through the historical cities of Minas Gerais: Ouro Preto, Mariana, Congonhas, Tiradentes, and other ones. Abandoned when the gold-mining industry came to an end, these cities mantained most of their urban structure, the buildings and the characteristic objects of XVIII and XIX century society and culture. I feel that these buildings and objects now have an ambivalent status, between that of an art work, an architectural monument, and a hsitorical document. We used to have enriching conversations amongst the group of historians and the students that accompanied me on these trips. We discussed the pendulum-like dynamic of testimonies from the past, as well as the social function of the arts, the definitive role of the observer, certain conceptions of Brazilian art, and the structure of our contemporary society. It makes me think then that it is maybe by means of a certain distancing that we can gain a perspective on the past, one that might help us see things clearly. Maybe, on the other hand, it can be by a certain kind of “dive” in those places that clues from this history can be perceived, a history that somehow still acts upon us and appears everywhere, surrounding us. Or perhaps, such perspectives were engendered by the fact that our group of people drifted through these places for several days, focusing on thinking about what these places inspired in us. I propose that we make this journey together. 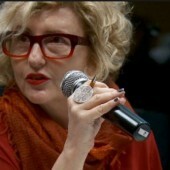 Carla Zaccagnini (Buenos Aires, 1973 – Lives in São Paulo and Malmö) is an artist and writer with a Master in Poéticas Visuais at Escola de Comunicação e Artes, Universidade de São Paulo. 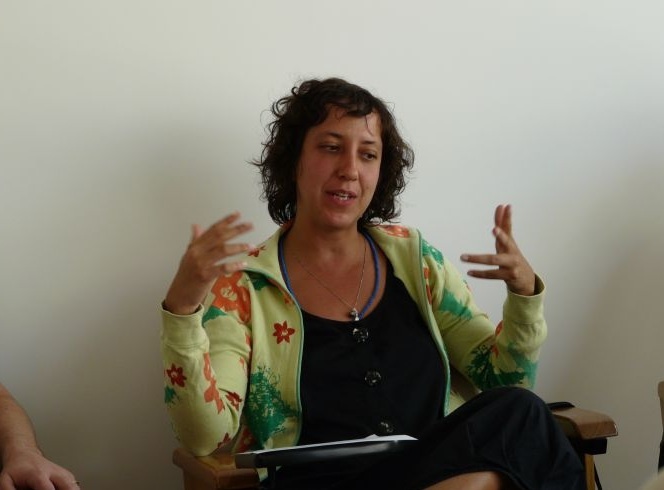 She is currently a grantee of the KfW Stiftung at Kunstlerhaus Bethanien Program (Berlim, 2013-14). She took part in the following group exhibitions 9th Shanghai Biennale (Xangai, 2012), 2nde Biennale de Benin (Cotonou, 2012), Planos de Fuga, uma exposição em obras (CCBB-SP, 2012),Modelos para Armar: Pensar Latinoamérica desde la colección MUSAC (Leon, Espanha, 2010) and28a Bienal de São Paulo (2008), among others. Recent solo shows include Pelas Bordas (Galeria Vermelho, São Paulo, 2013),Plano de falla (Ignacio Liprandi, Buenos Aires, 2011), Imposible pero necesario(Galeria Joan Prats, Barcelona, 2010) and no. it is opposition. (Art Galery of York University, Toronto, 2008). Her work has been featured in Cream 3 (London: Phaidon Press, 2003), Contemporary Art Brazil(Thames and Hudson, London 2012) and Art Cities of the Future, 21st-Century Avant-Gardes (London: Phaidon Press, 2013)and is currently represented by Galeria Vermelho (São Paulo) and Joan Prats (Barcelona). The workshop will investigate methods and technologies of hydroelectric industries and their long-term effects on the tropical landscape, climate and bio-diversity in Brazil and South America. It will offer an introduction into a fictitious “Hydrology for Artists”, assembling basic information and methodologies in the field of hydrology, climatology, energy supply and demand and the technology of hydroelectric plants. 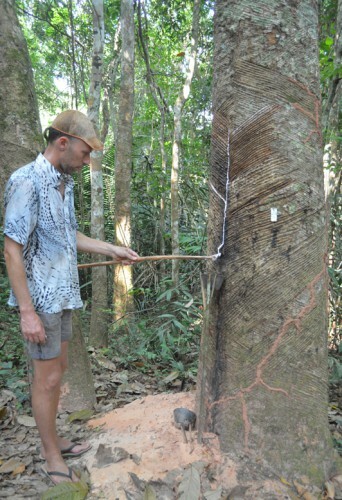 The complex situation of bio-diversity and climatology in the greater Amazonian basin will be examined as well as the history of energy extraction through industrial undertakings in the tropical landscape. We will invite guest speakers ranging from scientists to mentors of indigenous rights, watch films and analyze material related to the topic. The aim is to enable the participants to contribute to the public debate around the topic and mediate it with artistic means and from an arts perspective. In his installations frequently resembling experimental configurations, German artist Christoph Keller uses the discursive possibilities of art to investigate the themes of science and its utopias. The Cloudbuster-Projects (since 2003) involve reenactments of Wilhelm Reich’s experiments for influencing the atmosphere with orgon energy. In Encyclopaedia Cinematographica (2001) and Archives as Objects as Monuments (2000), Keller focuses upon the archeology of scientific film, the impossibility of objective documentation, and the problem of the archival urge to bring order to comprehensive knowledge. In spite of all methodological objectivity, a selective and deliberate design is always at work here. In Expedition-Bus and Shaman-Travel (2002), a mirrored camping bus for research trips, the ethnographic viewpoint of science is exposed as a projection of its own culture. The viewer is drawn into the installation and becomes a field investigator, for Keller is ultimately concerned with linking the methods and procedures of scientific work with a spatial but also psychological-physical experiencing of art. Keller is often working on themes at the frontiers of science, such as the connection between hypnosis and cinematography in Hypnosis-Film-Project (2007) or Visiting a Contemporary Art Museum under Hypnosis (2006) for which he studied and experimentally applied hypnotic methods: The Mesmer Room (2006). In The Chemtrails Phenomenon (2006) and The Whole Earth (2007), the theme is conspiracy theories in the Internet, which as “scientific constructs” are likewise expressions of a certain state of consciousness in society. In his work-cycle on Inverse Observatories (since 2007) Keller reverses the view: It is not the universe that is observed, but rather the observation itself. In 2008 he also founded an interdisciplinary research group for the representation of altered states in the arts at the Art-University of Bern. Leading to the very boundaries of language is the video-installation Interpreters (2008) in which simultaneous translators translate in two directions while reflecting on their work. The video Verbal/ Nonverbal (2010) shows a number of test subjects in front of a neutral white background inhaling a hallucinogenic gas and hence speaking about their experiences. Christoph Keller first studied mathematics, physics and hydrology, before continuing his studies at the art academy in Berlin and in Cologne. His works are present in many international exhibitions like the Lyon Biennial (2011), Klimakapseln, Museum für Kunst und Gewerbe, Hamburg (2010), the Bienal del Fin del Mundo, Argentina (2009), Bienal do Mercosul, Porto Alegre, Brazil (2009), Dreamtime, Musé des Abattoirs in Toulouse (2009), Artfocus Jerusalem (2008), Made in Germany in Hannover (2007) or the solo-exhibition Observatorium in the Kunstverein Braunschweig (2008) or LIAF Lofoten (2011). Æther – between cosmology and consciousness (2011) at Centre Georges Pompidou in Paris was his first artistic and curatorial-project in an institutional context. 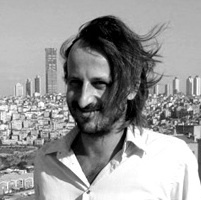 He received several awards and grants for his work like the Ars Viva-Preis for art and science, the P.S.1 studio-grant in New York, Residences Internationales aux Recollets, Paris, BM Suma in Istanbul and Capacete in Sao Paulo, Brazil. 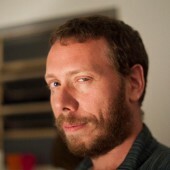 Christoph Kelller is based in Berlin. Currently he is teaching as guest professor for media art at the Hochschule für Gestaltung in Karlsruhe, as well as at the visual art department of the Haute école d’art et de design in Geneva. How to dribble the colonial unconscious? Walking along a Mobius strip with Lygia Clark, some Tupinambá Indians and a few Frenchmen, Suely Rolnik will seek to bring to light and mobilize a political consciousness anchored in the production in thought, desire, and subjectivity. Politics of this sort were directly repressed by Occidental Europe in all of the cultures that were subjected to it (including those within its geographical boundaries) during the colonial period and its offshoots. This repression constituted the fundamental micropolitical operation of colonization. The productive politics we propose is nowadays on the path to its actualization, injecting its corporeal knowledge into the logocentric veins of the Occidental modernity in crisis. Such a return of the repressed in the exercise of the thought relies on its strength and craftiness in order to dribble the Colonial Unconscious, one that still structures subjectivity and structures the play of desire in our time. Is it not the irruption of precisely such a return of the repressed that we see manifesting itself in the various movements that have been filling the streets and squares of cities worldwide? If that is the case, one should keep in mind that the task at hand is indefinite, and in need of constant renewal and attention. 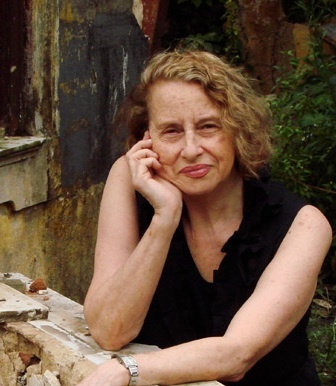 Suely Rolnik / Psychoanalyst, is an art and culture critic and curator. 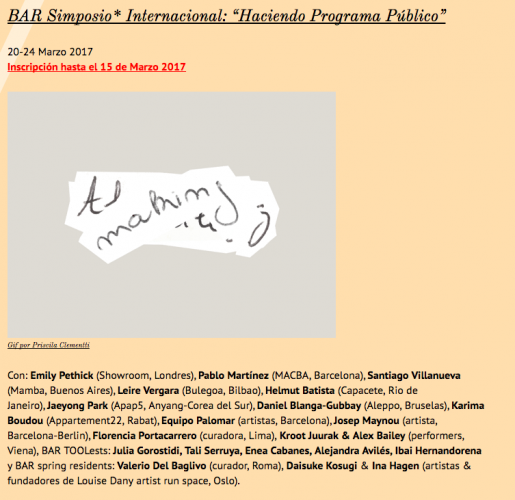 Professor at PUC – SP in Postgraduate Clinical Psychology , and faculty member of the Program of Studies Independientes ( PEI ) at the Museo d’ Art Contemporani Barcelona ( MACBA ). Conducted the project “Obra-Acontecimento”, 65 films that research the memory effects of the poetics of Lygia Clark in the body of the respondents ( a version of the file containing 20 interviews and a booklet was chosen by the Art Forum in the top 10 projects art 2011 and received the first prize of the Brazilian Graphic Design Biennial 2013 ). She was co-curator of the exhibition with C. Diserens “Somos o molde. As you fit the breath . 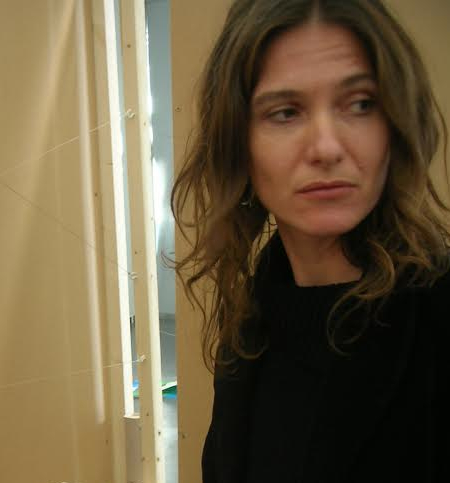 Lygia Clark, da obra ao acontecimento” ( Musée de Beaux Arts de Nantes , 2005 and Pinacoteca do Estado de São Paulo , 2006). 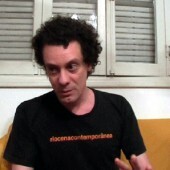 Was a founder of the network The South Conceptualisms (currently composed of 50 researchers from across the continent ); was member of the jury of the Premio Casa de las Americas (Havana , 2014 ) and currently is a member of the advisory board of the 31st São Paulo Biennial taking place from 06 /09 to 09/ 12 2014 . Author of the books “Geopolítica da cafetinagem”. Four essays on the pathology of the present ( SP , N – 1 , 2014; press) , Archive Mania ( dOCUMENTA 13 , 2011) , Anthropophagie Zombie ( Paris, 2012) , Sentimental Cartography . Contemporary transformations of desire ( SP 1989; . 6th ed southern fringes , 2014 ) . and co – authored with Felix Guattari , Micropolitics . Cartographies of desire ( SP 1986; . 11th ed 2011) , published in 7 countries . Author of over 200 papers published in several languages ​​. Is a 10 month workshop with discussions arround questions of acceleration and reduction of production. Helmut Batista (Rio de Janeiro 1964) studied opera at ESAT/France and worked at the opera of Viena. In 1998 funds CAPACETE, a non profit organization think tank for contemporary investigation. Has produced and organized innumerable talks, presentations, seminars and exhibitions in Brazil and internationally. As an artists, until 1997, he has exhibited at Gallery Schipper, Air de Paris, Massimo de Carlo, Von Senger among others. In 2013 curated an exhibition intitled “CAPACETE” at Portikus in Frankfurt. Anne Szefer KarlsenNorway (2008-14). In addition to series of exhibitions and seminars for the Hordaland Art Centre, as well as further developing its residency programme, she has curated exhibitions for other art spaces and is teaching/lecturing in formal and informal education. Exhibitions curated and publication projects edited by Szefer Karlsen will generally host an international roster of artists and other contributors. 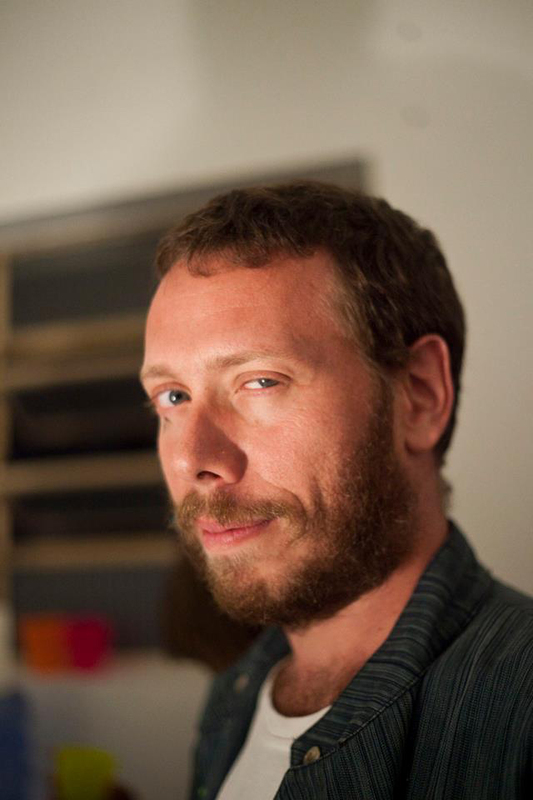 Szefer Karlsen is curator for Skulpturbiennalen 2015 (The Sculpture Biennale 2015), and was curator for Lofoten International Art Festival – LIAF 2013 (with Bassam el Baroni and Eva González-Sancho) titled Just what is it that makes today so familiar, so uneasy?, September 2013 and created the project The Transmitter Show – Words At a Distance; 10 radio plays by artists and writers published in book form and recorded for radio, with philosopher and writer Aaron Schuster for Performa 13. 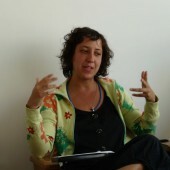 She acted as Associate Curator for Biennale Bénin 2012 (Artistic Director Abdellah Karroum). She is series editor for Dublett and has edited Collected art criticisms by Erlend Hammer (Ctrl+Z Publishing, 2008), co-edited Lokalisert/Localised with Arne Skaug Olsen and Morten Kvamme (Ctrl+Z Publishing, 2009) and Self-Organised with Stine Hebert (Open Editions/Hordaland Art Centre 2013). She has conceived of several seminars and lecture series, and her interests are in artistic and curatorial collaborations as well as developing the language that surrounds art productionsof today, linguistically, spatially and structurally. She has taken on a number of positions of trust within the Norwegian art context and is increasingly invited to speak on contemporary art at home as well as internationally. The workshop will offer an introduction into a fictitious “Hydrology for Artists”, assembling information and methodologies in the field of climatology, energy supply and demand, as well as an archeology of hydroelectric plants in South-America. Christoph Keller is based in Berlin. He worked as a hydrologist before becoming and artist. Currently he teaches at the visual art department of the Haute école d’art et de design in Geneva. In his installations and films frequently resembling experimental configurations he uses the discursive possibilities of art to investigate the themes of science and its utopias. The Cloudbuster-Projects (since 2003) involve reenactments of Wilhelm Reich’s experiments for influencing the atmosphere with orgon energy. In Encyclopaedia Cinematographica (2001) and Archives as Objects as Monuments (2000), Keller focuses upon the archeology of scientific film, the impossibility of objective documentation, and the problem of the archival urge to bring order to comprehensive knowledge. His works are present in many international exhibitions like the Lyon Biennial (2011), LIAF Lofoten (2011) Bienal do Mercosul, Porto Alegre, Brazil (2009), the Bienal del Fin del Mundo, Argentina (2009), the first Berlin Biennial (1998), or the solo-exhibition Observatorium in the Kunstverein Braunschweig (2008). Æther – between cosmology and consciousness (2011) at Centre Georges Pompidou in Paris was his first large scale artistic and curatorial-project in an institutional context. 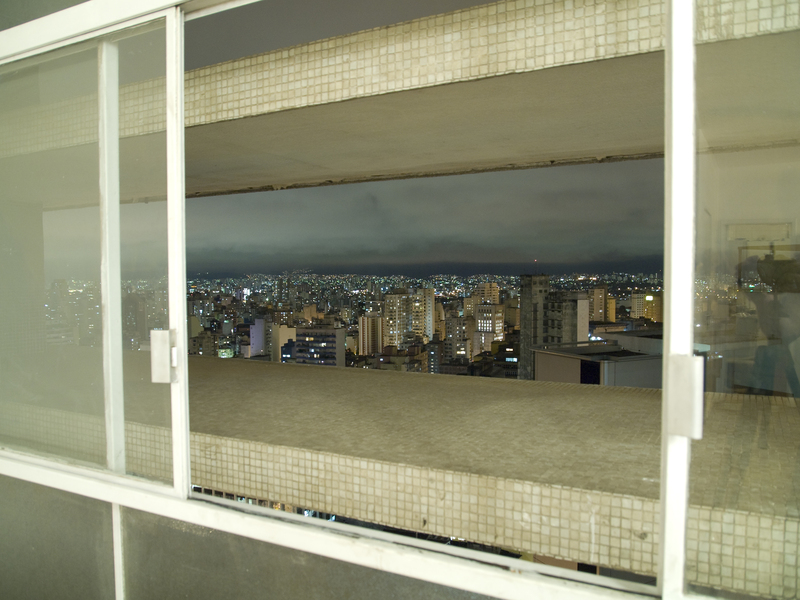 Packer collaborates regularly with artist-run and autonomous intiatives such as Como_clube, Casa do Povo and CAPACETE, where, between the years of 2011 and 2013, he co-directed the international artistic research residency program. Taking the arts as a less hierarchical activity and privileged field for developping ethical experimentations, his activities are extended to discursive formats, classes and workshops, meetings and conversations, lunches and tours that establish spaces and provisional states for collective dynamics, where predominate building horizontality, critical debate, mutual learning and coexistence. 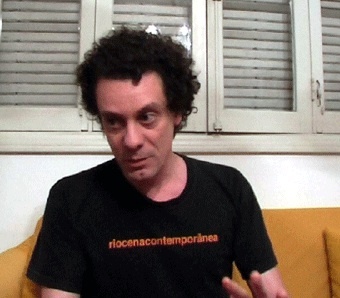 In recent years, he participated in educational programs as Städelschule, Frankfurt , Germany, 2013; PIESP – Porgrama Independente da Escola São Paulo, 2013; Centro de Investigaciones Artisticas, Buenos Aires, Argentina, 2013; History Matter CCA – Lagos, Nigeria in 2012; Universidade de Verão, Rio de Janeiro, 2012 and 2013; New Choreographers, CCSP, 2010; the Harbor School, Beta Local in San Juan , Puerto Rico , in 2011; On Reason and Emotion, Sydney Biennial 2004 educational programs – Hobart School of the Arts, Launceston School of the Arts, Tasmania, Autrália, 2004. Moscoso is a curator that mostly emphasizes speculative thinking and actions in order to privilege imagination. Weather organizing exhibitions, commissioning or initiating projects, she sees collaboration intrinsic to her practice. Moscoso was the adjunct curator of la12 Bienal de Cuenca Ecuador, and has recently curated Martha Araújo: Para um corpo pleno de vazios at Galeria Jaqueline Martins em São Paulo; Yael Davis: a reading that writes an script in the Museo de Arte do Rio, Rio de Janeiro; Fisicisimos, Universidad Torcuato di Tella, Buenos Aires; Quarter System, Universidad de Navarra, Pamplona; The Queens Biennale in the Queens Museum, New York; or Before Everything in CA2M, Madrid among other exhibitions. 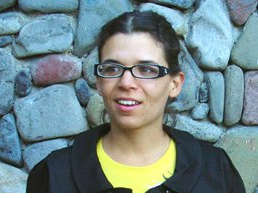 She is now developing a long term research project for Casa del Alabado Precolombian Art in Quito involving contemporary art practices, the first artist to respond to the collection are Asier Mendizabal and Osías Yanov. Since 2010, together with Sarah Demeuse is Rivet, a curatorial office investigating notions of deployment, circulation, exercise, and resonance. Their research has materialized in projects in New York, Vitoria-Spain, Los Angeles, Ghent or Beirut. Their last project is The Wilson Exercises about staying fit while working together with Marc Vives and Anna Craycroft and still following individual interest. It is a way of paying close attention to process while developing a multifaceted project–comprising personal conversations, a summer school in Stavangers, conference calls, two exhibitions in Los Angeles and Barcelona, and one publication designed by Project Project New York — between the two artists and a curatorial duo. Rivet has recently published “Thinking about it” with Archive Books and is preparing the first monograph of artist Daniel Steegmann Mangrané with designer Manuel Reader. Over the last years she has talked and give workshops at Bulegoa in Bilbao the Worlds Biennale Forum in Sao Paulo, ArtBO in Colombia, Open Forum in Buenos Aires, HKW Synapse in Berlin, No Mínimo in Guayaquil, Charlas Parásicas in Lima, Sitac XI México DF or Videobrasil Sao Paulo, among others. Together with Amilcar Packer developed the one year curatorial program Maquina de Escrever centered in writing as an tool for though production. 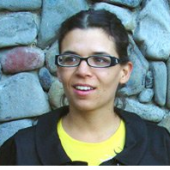 Moscoso holds an MA from Center for Curatorial Studies at Bard College and BA in Fine Art from Central Saint Martins School of Art and Design. Our team for 2016: Andrea Fraser, Pedro de Niemeyer Cesarino , Raimond Chaves, Leandro Cardoso Nerefuh, Teresa Riccardi, Max Hinderer, Falke Pisano, Julien Bismuth and Elfi Turpin. 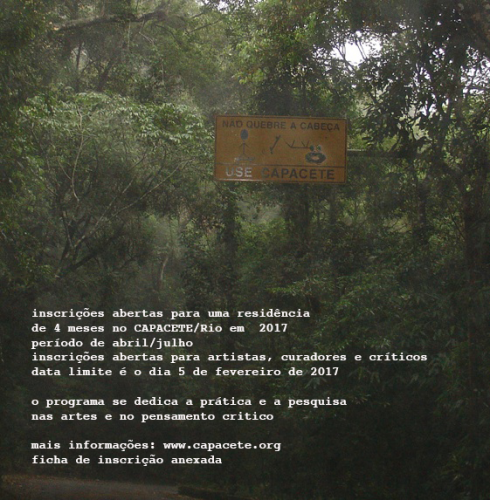 CAPACETE is a new annual program in Rio de Janeiro dedicated to the parctice and research in the field of arts and critical thinking, which will receive 10-15 participants a year. The first edition started in March 2015. Thinking is action. A Brief History of CAPACETE CAPACETE grows out of the CAPACETE Entertainments residency program. 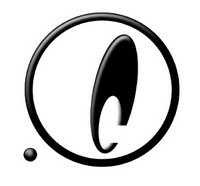 CAPACETE entertainments is a non-profit autonomous initiative for cross-disciplinary investigation, production and public debate, designed to promote a diverse range of initiatives, most of which were specifically related to Brazil and the Latin American context. Based in Rio de Janeiro since 1998, as well as in São Paulo since 2009, CAPACETE has networked with diverse actors and initiatives of local, national and international political-socio-cultural life, with the perspective of developing medium to long-term collaborations. Within private and public cultural institutions and the academic world, CAPACETE has sought to dissect forms of subjectivities inherent in contemporary life by producing different ways of thinking and new forms of action within its local context. CAPACETE has undertaken activities such as seminars, publications, national and international exhibitions, artists and authors’ research residencies, as well as multidisciplinary presentations of work that engage with a plurality of contemporary critical practices. 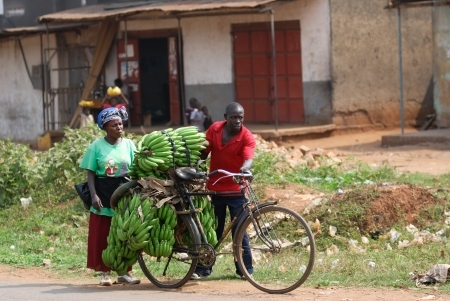 The residency project will continue to exist by working to assist projects initiated by ex-residents. The new CAPACETE program outlined in this text will start its activities based on knowledge acquired from our longstanding experience with former residents and collaborators. CAPACETE basic activities are the following 1 – Annual program (restricted to selected participants) CAPACETE is a new one-year program in the city of Rio de Janeiro 13 international participants, selected by open call, dedicated to research and practice in the arts and critical thought. It will start its first edition in March 2015. This program is neither a school neither an art residence; it shall be an experimental program were all participants and contributors live an active space of horizontal discussions. The programs offers 10 seminars and more than 40 public talks, besides studio visits and other collective activities. Three tutors, Amilcar Packer, Manuela Moscoso and Helmut Batista will follow the group along the year. The mission of CAPACETE is to promote discussion and discourse among the society as a whole and to promote knowledge exchange in the field of visual contemporary culture. 2 – Wednesday public talks This program consists of talks and presentations by different professionals from different disciplines. The program of each month is designed in accordance with the given seminar of the month and is programmed one month ahead and made public on our webpage. These programs may also include book presentations, musical events, performances etc. 3 – Editions and bookshop and library We have a book shop which is open every Wednesday through Friday from 15 to 19:00. We sell our published books and others. CAPACETE is a new one-year program in the city of Rio de Janeiro, Brazil, for 14 international participants dedicated to research and practice in the arts and critical thought. It has started its first edition in March 2015. Thought is action. CAPACETE that stimulates collaboration, dialogue and discussion with other artists and curators or other cultural agents of different disciplines.